The Grey Wooded Forage Association is a not for profit organization that provides agricultural and environmental learning opportunities to farmers, ranchers, and anyone interested in the forage and livestock production. We also develop and partner in demonstration projects to provide real life scenarios for producers. We have developed the Corporate Membership to give businesses the opportunity to engage with Grey Wooded Forage Association and expose our membership of producers to the businesses that support our cause. We have recognized the need for improved community investment and feel this is a step to creating that community connection. The Corporate Membership will allow you, access to our monthly publication, “The Blade” as a digital copy for your own use and distribution. You will receive recognition on our website as a supporter of GWFA. We will provide your organization with one free producer membership annually for you to give away. You will also be given a certificate of recognition that you may display prominently in your place of business that states “You are a supporter of the Grey Wooded Forage Association”. The Corporate Membership fee is $100.00 and is for one calendar year. We would like to invite you to consider the Corporate Membership opportunity with the Grey Wooded Forage Association. If you are interested in supporting GWFA please fill out the Corporate Membership Program form and contact Ginette Boucher at 403-844-2645 or gwfa3@telus.net. 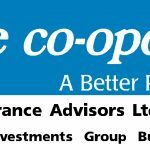 The Co-operators/Clearwater Insurance Advisors Ltd.